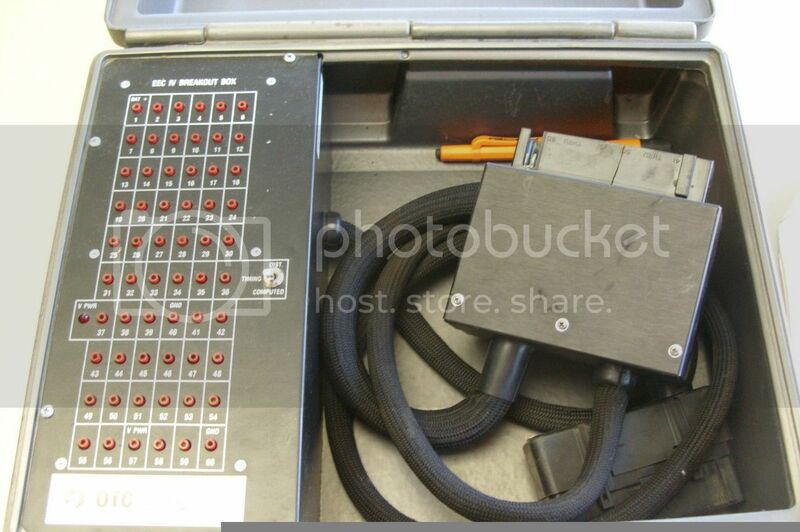 Could someone post a short intro to the various breakout boxes and components Ford used? I'd love to have one for the 86 but before I purchase anything I want to see what I should buy. There's info on the web but not too much detail. I'd guess there were a few models and accessories for the different models Ford made. Pictures would be wonderful as well. I don't buy pre OBDII stuff brand new, ever. Modern suppliers are not into service per se , but making sure the business they do survives. I guess you are aware that you can make them. I've seen it done many times for EECIV Cologne V6's, The German stuff was cutting edge, and used the first OBDII EECV systems as well later in 1994, well before it was mandatory in the USA. Owatonna Tool Company stuff is very good. Robert L Bosch now owns OTC and Actron. are a much more helpfull with live data. The OTC breakout box is essentially the 60 pin input live data stream like the Bosch 1350 or OTC 3211 or Actron CP9690 or the later Encore can do for pre OBDII. You can access it for 200 bucks via the 1350/3211 or CP9690. but the OTC 3211 is backwards compatable for 200 ping, and live streams as well. The OTC Encore is too, but its ....1500 bux. 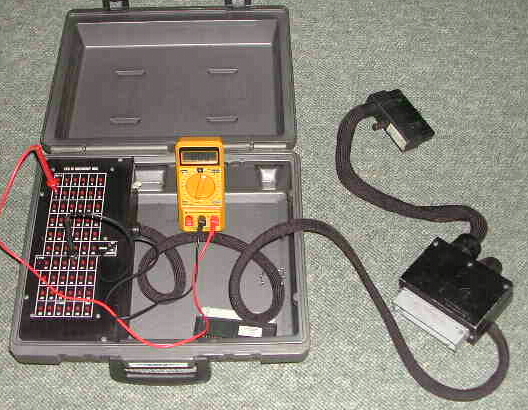 The Thexton 60 pin breakout box varies in composition. 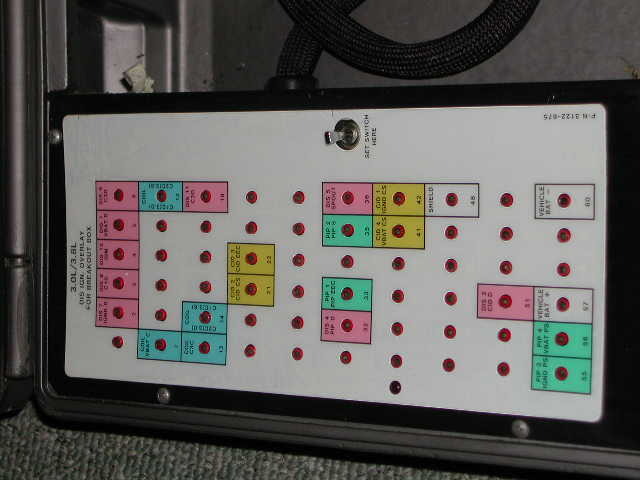 Its a 6 x 10 matrix prong system, with an overlay for the various codes. That really only tells you if your earths are working correctly. You then have to use an OTC 4660 plug puller and go on a continuity, sensor and ohm-age mission find the static dress of the prince of powers. I’ve got the Thexton 126. I think I bought it here. I am going to sound "uninformed" but what, pray tell, is a break out box and what is it used for? 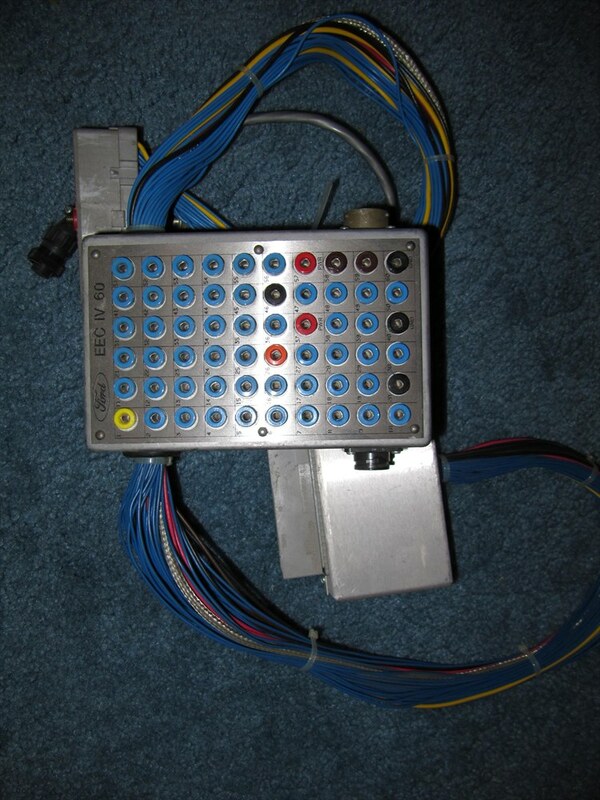 Simply a diagnostic tool that is connected between the computer and the main harness so you can test individual pins/circuits with the car running, starting, etc. to diagnosis/verify problems or issues. Ford Rotunda made a breakout/testing box (by which I mean "briefcase sized") that inserted inline between the computer and the harness. It had the plugs at both ends of a wire harness, a box that sat on the passenger's seat, and a readout that clipped to the sun visor. You then took a notebook full of overlays, selected the proper one (based on year/model/engine), and placed it on the box, then tuned the knobs and switches on the box to match the overlay. Then, you select the test you're running (Key on, engine running; key on, engine off; or read stored codes) and use the knobs and switches to check each circuit; reading the display. It also allows you to substitute values for some components (rich/lean O2 sensor, hot/cold engine temp, etc). The second box, also briefcase sized, has a cassette player and 8 plugs. You plug each of these into the first box, select the 8 channels you want to record, and it datalogs your chosen signals onto the cassette tape. It handily has a counter on it so you can note what section of the tape your failure occurred at, and you can fast forward/rewind to watch those signals. State of the art in 1986! I don't know why I keep those; my only remaining OBDI Ford is my '87 F150 and I have an OBD2 reader with the Ford EEC-IV adapter. PM me and I'll dig up some pictures when I get home. Last edited by Greywolf; 08-29-2018 at 04:42 PM. What overlays should be with the EFI Monitor manual? Various sellers online don't really know what these manuals should have. I'd rather not buy an incomplete manual for the 86GT. I did manage to pick up a monitor however. And the Thexton BOB. But need manuals. The overlays were vehicle-specific, so they were bundled with various tool sets. I have a folder that probably came with the tester originally, and it has added "pages" containing overlays for newer vehicles. There is some overlap of which overlays work with which vehicles, and also a page describing settings for vehicles that don't have overlays. So, I would guess the selection of overlays provided with the tester varied by year or might have been chosen by the purchaser. The manual I order arrived today. It is missing a few overlays but included some that are not listed on the header of the 'pocket pages' that hold the overlays. At least it has the 5.0 overlay. The date on the manual is 1987 but includes overlays used for up to 1989 models. It appears I am missing four of the them. However, it starts at 5- on the header page. Yet I have numbers 1 and 4. Odd. I guess I'll keep it but maybe I should search for a newer manual? Thanks for the help. Looking forward to using this new toy. BOB only had overlays for certain applications other than the PCM. 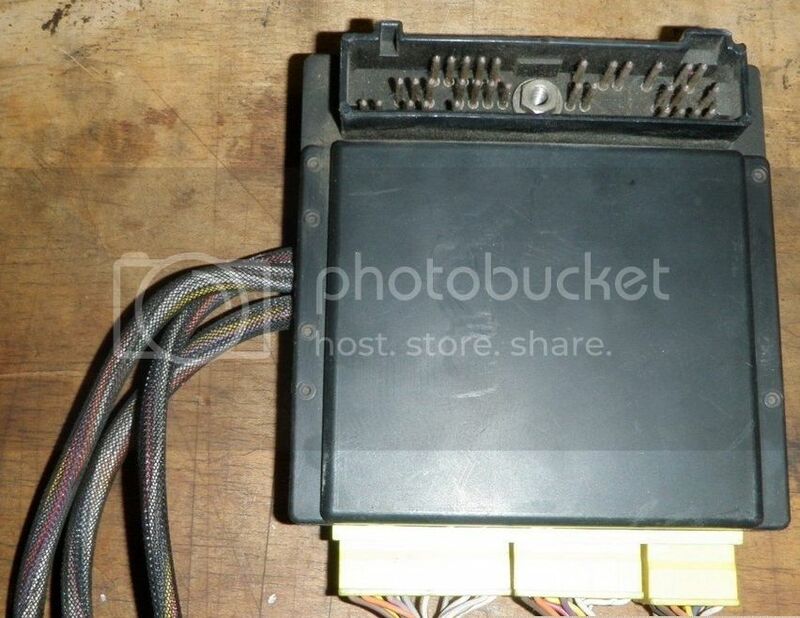 There were BOB adapters for things like ABS, and Mazda MECS systems. They would use an overlay to call out correct pins. My Monitor is missing the 'switchbox' for testing specific components. Not sure what it looks like exactly but if anyone has one, I could really use it. Don't have a good picture but hopefully someone has one or can assist and track one down.